This industry study presents work in querying manufacturing processes using a portal to navigate query results in the broader context of enterprise architecture. The approach addresses the problem of helping stakeholders (e.g., management, marketing, engineering, operations, and finance) understand complex BPM models. Stakeholders approach models from different viewpoints and seek different views. Gleaning insight into improving model quality is challenging when models are large and complex. 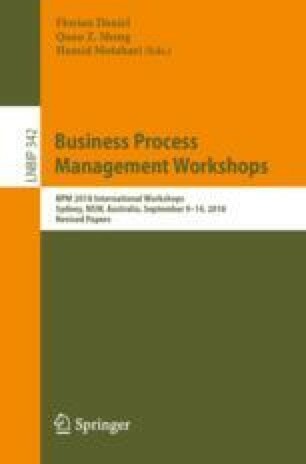 The focus of this work was on process models only, not process execution, because many legacy organizations have done initial BPM modeling but do not have BPM systems in production or have yet to realize the benefits of coupling log mining with incremental model refinement. The use cases presented address the complexity of multi-year, process models used by ~10,000 workers globally to develop new products. These models were queried to find quality issues, isolate stakeholder data flows, and migrate BPMN  activities to cloud-based, micro-services. The approach presented creates filtered process views, which serve as starting points for stakeholders to navigate interconnected models within TOGAF  enterprise architecture models. The process querying lifecycle—query, manipulate, and transform—was also applied to other enterprise models. Lessons learned from introducing BPM into a legacy organization, model refinement, limitations of research, and open problems are summarized.